The Second season of Sacred & Profane will begin at Wild Goose asking questions of being and becoming and how to live in the world that is often damning those who are different. https://vimeo.com/269878492Pam Rocker and Robyn Henderson-Espinoza exploring both the sacred & profane in their podcast where they bend the binaries of faith. As queer people, we bring our questions about how to be in the world and our doubts, engaging in conversations about how to live well in a world that damns those who are different.Pam Rocker is a queer activist, speaker, comedian, and ukulele player, and Robyn Henderson-Espinoza is a non-binary Transqueer Latinx, public theologian, and everyday porch sitter!Both southerners hailing from Texas, Pam lives in Canada, and Robyn lives below the Mason Dixon line. With a mutual love for tacos and insatiable curiosities, these kindred spirits will swear and wonder, exploring the borders of what religion and community can be. Join us for a podcast full of story, theology, and comedy, where we delve into how to make meaning and discover hope in a world that damns those who are different. This is Sacred & Profane, where we bend the binaries of faith. Pam Rocker is an atypical activist, award-winning writer, speaker, and musician. Pam has worked for many years for the full inclusion of LGBTQ+ people in faith communities and beyond. 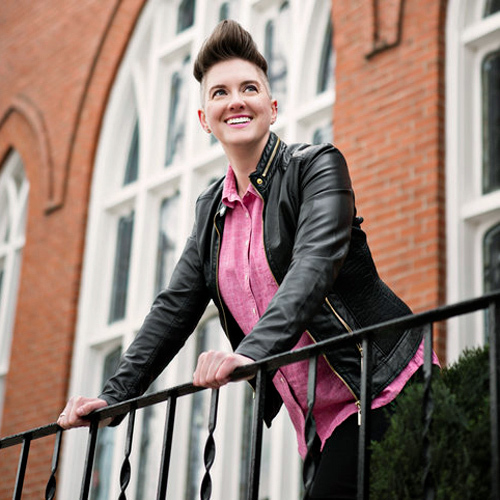 She was chosen as one of the top 30 activists in Canada in THIS Magazine, nominated as Artist of the Year in the Heart of Excellence awards, and writes/performs queer feminist ukulele comedy music. Pam is one of the Top 40 Under 40 in Avenue Magazine, a committee member of PechaKucha Calgary, Chair of the Observer Magazine, and an instructor with YouthWrite Alberta. 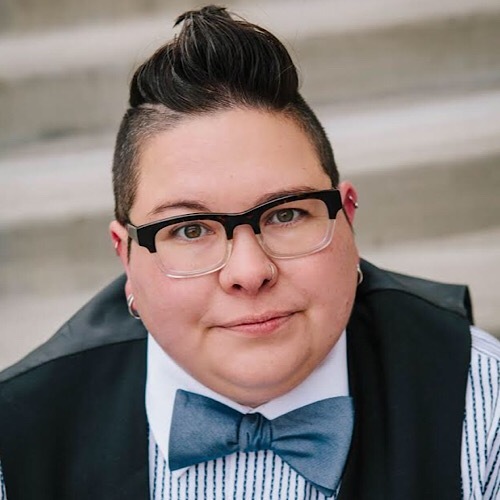 She is currently the Director of Affirming Connections for Calgary and speaks, teaches, and plays north and south of the border.